VidMate Pro is the modified version of the popular video downloader app VidMate. 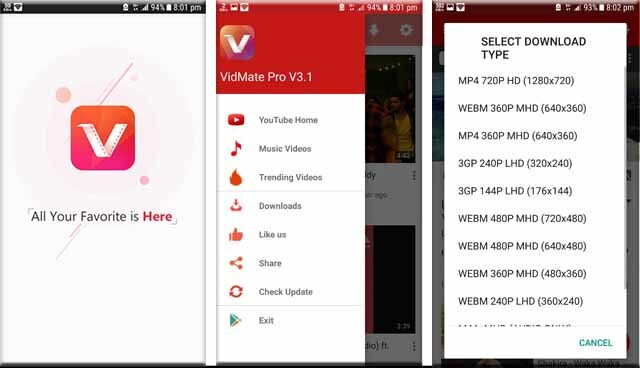 VidMate Pro apk is released by our website and it can download any YouTube videos easily. The app is only available for Android devices. 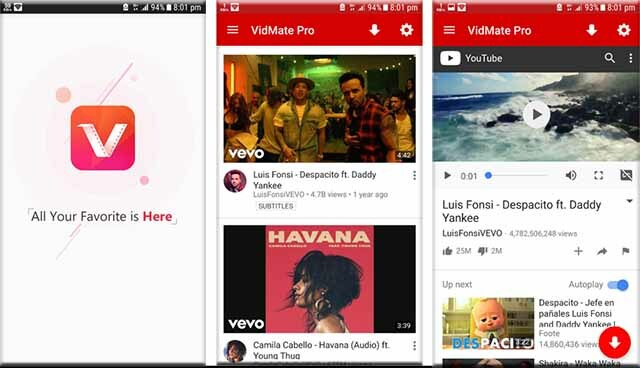 There are many more YouTube downloader app available for Android but because of its simplicity VidMate pro is very popular among the users. You can download this app from our website absolutely free. You can choose video quality. You can download higher resolution videos as well as lower resolution videos. You can download videos with different formats including 3gp. Download videos upto 720P HD. You can Select your desired location to save the videos. Search videos easily on YouTube. Less ads. Shows only one ads during the launch and exit. Get notified on download complete. Requirement: Android version 2.2 and above.